E-Motive’s multimedia displays offer many customisation options and freedom for users to design and create beautiful displays for their lifts. 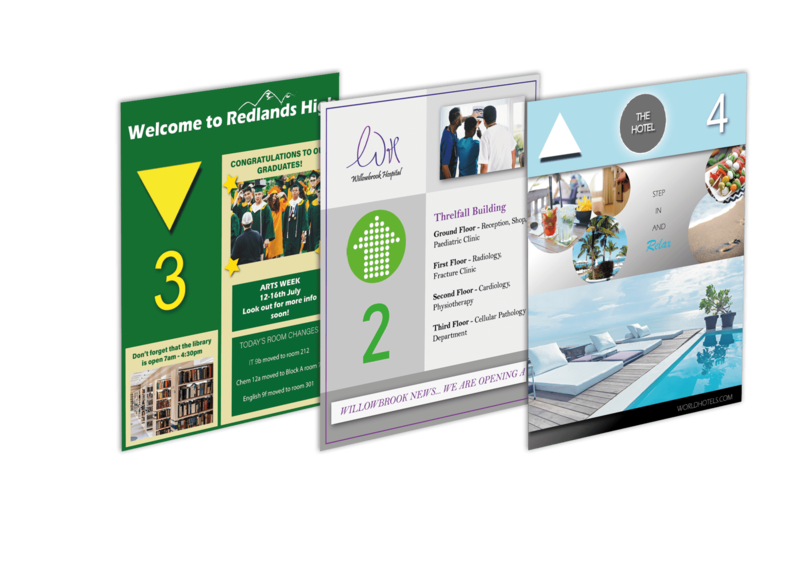 The iS2LX, Panorama, and PanaTouch offer lift companies and end users the ability to have stunning, informative and entertaining content in and around their lifts in locations such as lobbies, hallways, and entrance foyers. Maximise the potential with multimedia display screens. Building upon the success of the iS2, our iS2LX Multimedia LCD display supports graphic rich multimedia content which offers a greater level of flexibility when customising your screens. A revolutionary next-generation elevator media display, E-Motive Panorama provides stunningly crisp, exciting visuals for an informative entertainment elevator experience. PanaTouch is a multimedia lift touch display and offers an effective and engaging interactive experience for high-end installations.